Mobility chairs are available to sit on and try out in the showroom and are all either single motor or dual motor chairs. On the video above you can meet Ann who shows just one of the pattern books available for the chairs. There are 125 different soft cover fabrics and 30 quality leathers ranging from plain to Antique finish and from standard firm feel through to the softest textured semi-aniline quality. There is a wide range of riser recliner chairs to look at and sit in and the showroom stock costs from just £295 for a reconditioned model. For a British made 5 year guaranteed model from new you would pay more and rising up in price from there with specification and added features, and covering choice - leather generally being more expensive than fabric. Our mobility chairs are best bought from a showroom where the chair can be sized to suit the individual as they are not all the same. In fact you may have seen new model riser reclining chairs advertised on the internet for under £300, but they are a one-size-fits-all model in poor quality fabric or pvc with a years guarantee. It's obvious of course that a 6 foot well-built gentleman will require a different mobility chair to a slim 5 foot lady, but those internet mobility chairs unfortunately don't have that flexibility. Those that have found that their chair doesn't fit then have to pay a courier to return it before they get their partial refund from those companies. 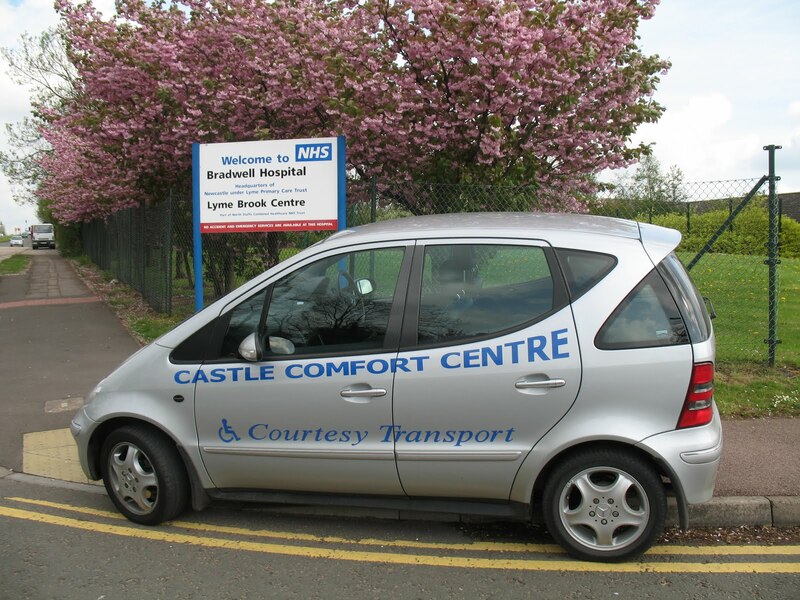 Far better to get experienced advice from a regional mobility centre like the Castle Comfort Centre that has helped hundreds of local people seek sitting and standing help and comfort. They have the customer testimonials to prove it. See the map listing for genuine reviews of the firm. Most of the mobility chairs are available in a small, medium or large sizing and with a dazzling array of fabric or leather cover options. Swatches are available in the showroom and we can send you a brochure aswell if you wish or to try before you buy we can arrange a local pick-up using one of our courtesy vehicles if required. Give us a call on 08000 832 797 and it might be the Merc coming round to pick you up! Make a day of your visit and see Alton Towers, Wedgwood, Portmerion or Potteries Factory Outlets, Freeport Talke, Little Moreton Hall or Biddulph Grange Gardens, Trentham Gardens, or Waterworld. Within easy reach of the M6, A500 and A34 on Wolstanton High Street. Click the map below for a clear view of our central location and google map for directions. We are opposite Asda on Wolstanton High St.
North Staffordshire Regular delivery run - Stoke on Trent, Newcastle under Lyme, Leek, Biddulph, Stone, Cannock, Cheadle, Stafford, Rugeley, Hanley, Longton, Burslem Tunstall, Kidsgrove, Alsager, Uttoxeter and Market Drayton. Increased and enhanced arrangements at Christmas&; Mother’s Day & Father’s Day. Guaranteed Birthday/Anniversary delivery dates - Anywhere in England & Wales with 14 days notice. There are many searches that you may use when looking to find us. Some of the commonest ones we have found are listed below. We can help you with any daily living aids for mobility or disabled needs. This is just one of the rooms in the showroom! Click on the picture for a closer view of some of Castle Comfort Centre's huge selection of stocked chairs. We regularly arrange free courtesy transport here if you are fairly local - give us a ring to arrange and find what chair you need at the price you want to pay. Set your satnav for ST5 8BW ! OR CALL FREE 0800 0832 797. The phone lines at the company's HQ at Newcastle under Lyme, nr Stoke on Trent, Staffs, are open 8am-11pm every day. Why not pay a visit to our factory? See being made the highest quality riser recliners in the world ! Our most popular fireside chair can be seen on our main website. Click here for fireside chairs to look at our best selling fireside chair. A comfortable high back chair with a fully sprung seat it is available in a choice of colours and the seat pad comes with a removable cover for easy cleaning. Why not bring your relative along for a try before you buy, no obligation? 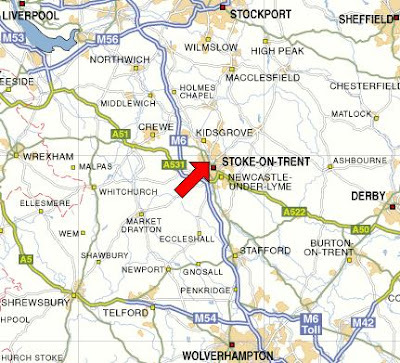 Our delivery run covers Stoke, Stafford and Staffordshire, goes out West to Crewe, Nantwich, Chester and Market Drayton. East to Derby and Nottingham and South to Wolverhampton, Walsall and Birmingham. Northerly we cover Cheshire West and East including Sandbach, Macclesfield, Congleton, Stockport, Sale, Altrincham and Manchester. If you are outside this area call us anyway as you might find that even with courier delivery we can be cheaper than available locally to you. 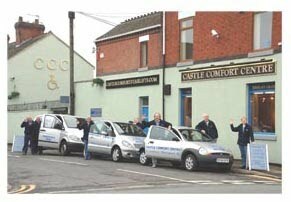 Castle Comfort Centre helping you to stand and sit in comfort.